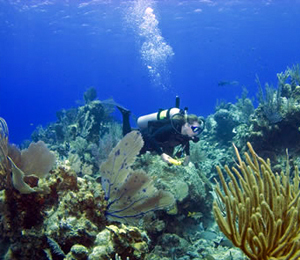 Check out some of our Nassau Diving deals and offers. To qualify for any of these specials you must book via our toll free number 1.800.688.5871. To qualify for discounted rates and special offers your tour must be booked at least 7 days prior to the date of your dive trip. Reservations made at the dive shop or on the island are not eligible for these discounts so book early. Discounts are based on per person booking and are for our dive boats only. Some specials do not qualify for our normal cancellation policy so please be sure you are clear on the terms before booking. We hope to see you soon! If you are looking to go on multiple dives try one of our dive packages and save. We are currently offering 10% OFF on multiple dives. These multiple dive packages include your tanks, weights and cold softdrinks on the boat. Be sure to book in advance and save. Call 1.800.688.5871 for more information and multiple dive pricing. If you are coming in on a cruise ship dont pay the inflated rates on the cruise ship book directly and save $$$. If you are coming in on a cruise ship we are always offering special discounted rates for dives that will accomodate your crusie ship schedule. Call 1.800.688.5871 for more information.